A photo of Ken with the first iteration of his 1950 Mercury custom in 1961. He was 17 years old when this photo was taken. Photo courtesy of Ken Bausert. Custom Cars November 1958 was the first custom car magazine that Ken ever bought. “Very worn, but still around,” Ken told Sondre Kvipt in 2017. Ken's Piston Pushers club card. "We were supposed to hand these cards out to motorists if we helped them out if their car was stuck somewhere and we jump-started a dead battery or helped get them out of deep snow, or something like that. Quite ironic, because - at that time we made these up - nobody in the club had a driver's license. Hah!" Photo courtesy of Ken Bausert. Paul Wood's 1941 Chevrolet Coupe. “Woody's first car was a '41 Chevy coupe which he mildly customized with a partial dechroming, adding fender skirts and a two-tone black and red paint job. The engine was a modified 6-cylinder.” Woody had this car before he and Ken met for the first time. Photo courtesy of Ken Bausert. Paul Wood's 1949 Mercury Coupe. In 1958 Woody's Merc started popping up in Ken's neighborhood of Richmond Hill, and it was instrumental in sparking Ken’s interest in custom cars. “The '49 Merc Woody owned when I met him is seen here outside a motel in New Jersey, while Woody and Carol were on their honeymoon. Although no other photos of the car exist, and some modifications can't be seen here, the car had extensive work done to it. The headlights were tunneled, hood and deck were shaved, the outside door handles were removed and replaced by electric solenoids, cruiser skirts were installed, and the car lowered. The most impressive thing was that the coupe was made into a hardtop by removing the vertical posts on the doors and in front of the rear side windows, and new glass cut to fit.” Woody’s Merc was built in the street, in front of his girlfriend's house. Woody had acetylene and oxygen tanks in the trunk of the car that he would roll out whenever he was working on the car. Photo courtesy of Ken Bausert. In the 1960s, “Shoebox” Fords were plentiful and cheap, making them very popular for kids with low budgets to customize and soup up in Queens. “A lot of the times we also got the car for free, or real cheap, because it was a relative’s car. Ken Szekretar, a friend of mine in Glendale got a 1949 Ford four-door for free. He didn’t want a 49 four-door Ford, but he got it for free. One of his aunts or uncle gave it to him. Back then nobody would be caught dead owning a four-door car. It had to be a two-door car. After unsuccessfully trying to chop the top on the car and make it into a two-door hardtop, using the roof of a 1950 Chevy, Ken wound up junking the car.” Ken took this photo of Ken with the Ford in 1959 or 1960. Photo courtesy of Ken Bausert. A photo of Ken's little brother Allen next to Ken's 1949 Ford. Ken believes the taillights came from his 1950 Mercury. Photo courtesy of Ken Bausert. The grille in Ken Szekretar's 1949 Ford was made up of old side trim. When this photo was taken, Ken had frenched and tunneled the headlights on the car. The hood had also been shaved. Photo courtesy of Ken Bausert. Ken's envelope that used to store his photos from the 1960 Hartford Autorama in. A photo of Anthony Abato's 1954 Oldsmobile Convertible that Ken snapped at the 1960 Hartford Autorama. Anthony bought the car brand new in 1954 and he started to customize it right away. Known as "The Comet," Anthony's Oldsmobile is a well known New Jersey custom that found its way into several magazines. Photo courtesy of Ken Bausert. “While in high school, one of the other gearheads I met was Doug Maloney, from Glendale. 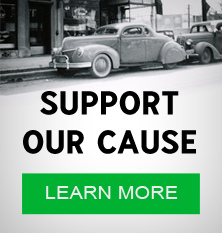 Doug had been building a '32 Ford coupe during the same time I had been working on my '50 Merc. Around the time we graduated, I stopped over to his house to see his car and grabbed some photos.” Photo courtesy of Ken Bausert. An old business card from Fitbrite Manufacturing Company, the place where Ken had the new convertible top on Mint Julep I installed. Ken believe they upholstered the seats too. Photo courtesy of Ken Bausert. A photo of Woody and mutual friend Sal Consiglio in front of Woody’s 1953 Ford. “Back in the day, Woody had no garage and often worked on the car in the street. This was shot on 116th Street, just north of Liberty Avenue, in Richmond Hill, around 1961.” Photo courtesy of Ken Bausert. Ken Szekretar with a hacksaw, ready to cut the roof off his Shoebox. "He drove, or towed, the car to the yard by the garage I was renting up the street from my house to perform his top chop," Ken remembers. Ken Szekretar was a year older than Bausert, so he had his license a year earlier. The photo was taken around 1960 - 1961. Photo courtesy of Ken Bausert. A photo of the dashboard in Ken Szekretar's 1949 Ford. Ken Bausert laid down the scallop paint job. Photo courtesy of Ken Bausert. A photo of Ken Szekretar's 1949 Ford taken during the chop. This was the end of Ken's shoebox, and it was dragged to the junkyard shortly thereafter. Photo courtesy of Ken Bausert. John Consiglio in a 1934 Ford coupe project. “One of the guys at the 116th Street garages had the coupe and had started to work on it. He was in the process of chopping the top, but the car was just a body shell not even attached to the chassis and needed a ton of work, the guy just wanted to get rid of it. He was going to tow it to a junkyard so Sal, John and I chipped in $5 apiece and bought the thing for $15. After that, we didn't know where we were going to store it and what we were going to do with it so, in a week or so, we wound up towing it to the junkyard.” Ken believes this photo was taken in the autumn of 1961. Photo courtesy of Ken Bausert. An in-progress, later incarnation of Woody’s 1953 Ford featuring scooped and canted quad headlights, a new grille cavity, and a pancaked hood. Taken in 1962, this version did also run a 1955 Buick engine. “Woody wound up having the most customized cars in our neighborhood. The problem was that he never finished his cars. The 49 Merc never really got done. He sold it before it was finished. He then bought the 1953 Ford that he did a lot of work on and sold. Woody also did a lot of work for other people, including me.” Photo courtesy of Ken Bausert. A photo of Sal Consiglio's 1955 Ford taken in 1962. “Sal was one of my best friends in high school, and he was with me the night I got my Merc on the road. The '55 Ford was John's, Sal’s brother’s, car, but he gave it to Sal when he bought a new Chevy 409. Sal was a perfectionist and painted each panel of the car only after he made sure it was perfect. The rolled pan and license plate treatment were all Woody's welding and fabrication, and then Sal was finishing it. Another car that never got done! Sal sold the car and bought a new Pontiac Bonneville convertible shortly after these photos were taken.” Photo courtesy of Ken Bausert. A rear end shot of Sal Consiglio's 1955 Ford taken in 1962. The rolled pan and license plate treatment were all Woody's welding and fabrication. Other modifications include a shaved deck lid and 1955 - 1956 Mercury station wagon taillights with custom lenses. Photo courtesy of Ken Bausert. Sal Consiglio next to his in-progress 1955 Ford custom. The photo was taken outside his house on 125th Street in 1963. Photo courtesy of Ken Bausert. 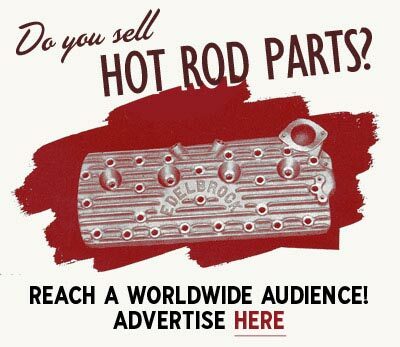 A Pequa Cams Hot Rod Club courtesy card from Ken's collection. Ken's buddy, Sal Consiglio, had a cousin who lived further east on Long Isand, in Massapequa, and the card belonged to him. Photo courtesy of Ken Bausert. A business card from Richmond Hill Auto Parts Company, or Cheap Mike's Wrecking Yard, as Ken and his buddies called it. This was where the kids from Richmond Hill bought parts for their cars, such as the Oldsmobile grille Ken ran in his Mercury. Photo courtesy of Ken Bausert. A photo of Richie Daus’ 1954 Buick taken in 1962. “Richie was a friend of mine who lived on Hillside Avenue, off Sutphin Blvd. in Jamaica, Queens. Garages for those apartments were in the middle of the block, in a big courtyard. Richie worked on his car there.” When Ken took this photo, Richie was in the progress of installing 1956 Chrysler taillights on the Buick. Unfortunately, the car got smashed up by a “bad” taxi driver in his cab. Photo courtesy of Ken Bausert. Richie Daus’ 1954 Buick as it appeared after it got smashed up by a "bad" taxi driver in his cab. Photo courtesy of Ken Bausert. Billy Stein's 1950 Mercury four-door. "Horrors! That Merc was dechromed, the rear outside door handles were removed, and it had 1955 Ford taillights. The engine was the original flathead, and the car was painted orange. It was sitting in a wooded area in Centereach, Long Island, at one of his relatives' house, for a very long time. One day, we took a ride out there and spent hours getting it running but I don't remember whatever happened to it." Photo courtesy of Ken Bausert. A photo of Ken O'Neil's 1949 Chevrolet Fleetline taken around 1961-1962. The car was partially dechromed with 1958 Chevrolet Bel-Air taillights. Ken lived of 97th Avenue, in Richmond Hill. "It was painted white, with some pinstriping, and somebody painted these little footsteps from the gas filler cap area to the lower trunk edge. I had gone through elementary & high school with Ken and, knowing of my scrapbook album of everyone's car photos, he gave me this photo to add to it." Photo courtesy of Ken Bausert. A photo of Herb Passburger's 1950 Mercury that Ken took in the parking lot of the White Castle in Brooklyn in 1962. "That's where we used to hang out. It's a mild custom, nosed and decked, with a 1949 Oldsmobile grille, and painted a dark brown. It might have been an original factory Merc color, but one of my faves. One of the few cars that anyone actually "finished" back in those days! I sent that photo in to one of the car magazines that used to have a section in the back for "readers' cars," without Herb knowing it. When it was published, I got a copy of the magazine and showed up at his mother's apartment one morning, they lived a few blocks away from the White Castle. When Herb opened the door, I held the magazine open to the page with his car; he took a look at it and was so excited, he jumped up & down and hugged me." Photo courtesy of Ken Bausert. New York City is known as the city that never sleeps. A melting pot of people from all corners of the world. If you have ever seen the movie “The Lords of the Flatbush” with Sylvester Stallone and Henry “The Fonz” Winkler, I’m sure you have an opinion about how it was to grow up in New York City in the 1950s. Set in 1958, the Lords spent their days chasing girls, stealing cars, playing pool and hanging out at the local malt shop. Ken Bausert grew up in a two-story house in Richmond Hill, New York’s borough of Queens. A 25-minute drive on the Belt Parkway separates Richmond Hill from the Flatbush neighborhood in Brooklyn. Queens is the easternmost and largest in area of the five boroughs of New York City. It is geographically adjacent to the borough of Brooklyn at the southwestern end of Long Island and to Nassau County farther east on Long Island. Our first introduction to Ken was through a story named “Mint Julep” in Gasoline Magazine 3/2009. “Mint Julep” was Ken’s first car, a 1950 Mercury convertible that he customized while he was in high school. Ken’s ancestors emigrated from Germany in 1866. Ken was born in 1943, during WWII. Richmond Hill was a middle-class suburban area close to major transportation, shopping, and recreation sources. “My neighborhood was a mixture of people that came from other places. On my block, I had an Irish family next door to me. On the other side, I had another German family. Right around the corner was an Italian family. 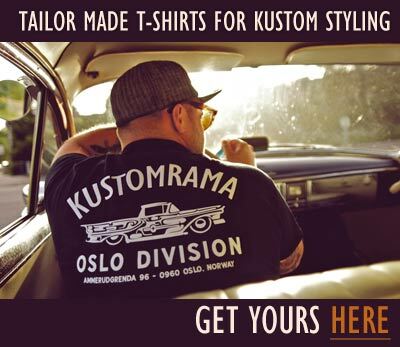 There was a little bit of everything,” Ken told Sondre Kvipt of Kustomrama in 2017. As a teenager, Ken grew an interest in automobiles. His mother was a housewife, and his father was an electrician. Ken's father wanted Ken to be an electrician as well, but Ken told him that he didn’t want to become an electrician, he wanted to be a mechanic. His dad told him that if that’s where his heart was, that’s what he had to do. Ken believes the first hot rods and custom cars in the area started popping up after the War, in the late 1940s. By the mid-1950s it had become quite a popular thing. 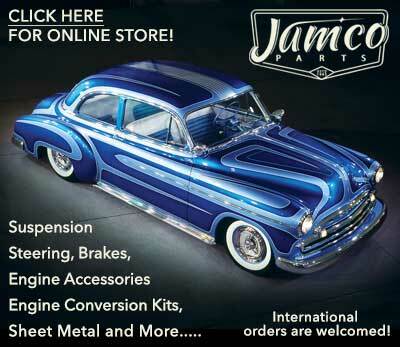 “I became really interested in custom cars and hot rods by 1958, the year I bought my first Custom Cars magazine. Around that time, I started seeing a particular car that caught my attention as I walked down 129th Street, in my neighborhood of Richmond Hill. It was a '49 Mercury coupe, always parked in front of the same house. It was getting really radically customized. It was a sedan that had been built into a hardtop, and every time I saw it, it had new and different modifications done to it, but I never saw anyone working on it. One day, I finally lucked out and met the guy who was customizing the car: Paul Wood. Paul was only about 17 or 18 years old. He was in the Navy at the time but was dating a girl who lived in the nearby house with her parents. He only worked on the car while he was home on leave and, because I was still in high school, I kept missing him... until that day. When Woody got back, he would open the trunk of the car. In the trunk, he had acetylene and oxygen tanks. Woody would roll the hoses out and start working on the car in the street, in front of the house, since they had no driveway or garage. When he was done, he would pack all back into the trunk. Shut it, and go back to the Navy base.” Ken and Woody became close friends, and Woody helped Ken with some of the modifications on Ken’s Merc when he got out of the Navy. Ken and his buddies used to hang out at S&S Speed Shop on Atlantic Avenue. Run by a fellow named John, the shop was located about 14 blocks from Ken’s home. Ken couldn’t afford to buy anything from the shop, “they were more expensive than anybody else, but all the guys that had cars that knew the guy or bought stuff from him used to come there. You would see cars parked in front of the place and around the side streets, and there were always cool cars around there. John was a nice guy, but he was expensive, so a lot of the time me and my friends would buy our stuff from JC Whitney, Moon or Honest Charlie mail-order ads in custom car magazines. You sent a check or money order, and there would be a big package coming for you in the mail. A lot of stuff was also bought and sold between guys that knew each other. I only hang out at the speed shop because it was a cool place to hang out. I couldn’t afford to buy anything from that guy.” John’s son Richard helped out at the counter. John had a 1949 Ford pickup truck with a supercharged Oldsmobile engine tucked under the hood. “It was really cool. That was one of my favorite vehicles.” The shop was still in business in 2017, run by Richard and his brothers. In 1965 Ken got married and moved to Elmont. “I still worked a regular job in Forest Hills, Queens, and a part-time job in Richmond Hill. This had me back in the old neighborhood quite a bit, so I kept in touch with many old friends. By 1973, we had two children and moved further east. I got a job closer to home and gave up the part-time job in Queens. As a result, I didn't have the time to get back to the old neighborhood much and slowly drifted apart from many friends.” Luckily the memories and stories still remain, along with Ken's detailed scrapbook. Subscribe to our newsletter and receive updates on The Ken Bausert Photo Collection and other subjects featured on Kustomrama. If you have additional information, photos, feedback or corrections about The Ken Bausert Photo Collection, please get in touch with Kustomrama at: mail@kustomrama.com. This page was last edited on 16 April 2019, at 08:57.